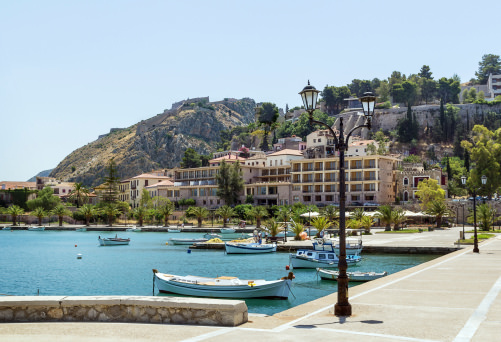 The Peloponnesian port town of Nafplio is one of Greece’s prettiest and most romantic towns. The palm-tree lined waterfront attracts both tourists and weekending Athenians during the busy summer months. Nafplio was the first capital of Greece after the War of Independence and has been a major port since the Bronze Age. It’s known for its narrow streets, Venetian houses, neoclassical mansions, fortresses, and interesting museums. Within Nafplio are three fortresses that were built by the Venetians with the intent to fend off Ottoman invasion. The 3 fortresses today are all open to visitors. 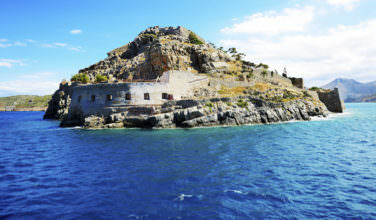 The principal fortress is the Palamidi Fortress, which is the best-preserved fortress in all of Greece. It was built between 1711 and 1714 and is regarded as a masterpiece of military architecture. It stands on a 216m high outcrop of rock. 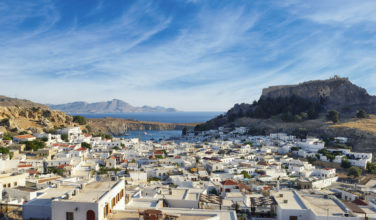 There are excellent views from its highest point where you can see several Aegean islands and the mountainous interior of the Peloponnesian Peninsula. The hike to the top is a bit challenging. You can also drive or take a taxi to the top. The Akronafplia Fortress is the oldest of Nafplio’s three fortresses. It can be found on a low hill just behind the Old Town and a manageable uphill hike will bring you to the top. It was used as a political prison from 1936-1956. Bourtzi is the smallest of the three. It can be found on an islet west of the Old Town. 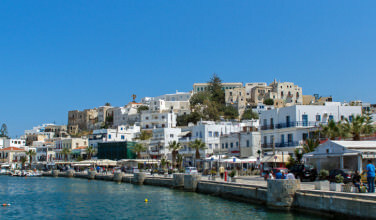 You can access it via boat from the northeastern end of Akti Miaouli for pleasant views of the city. Nafplio has many museums for visitors to enjoy. The Nafplio Archaeological Museum is its top museum. It gives a concise overview of prehistoric Greece. The Mycenaean civilization exhibits are well described in English. The collections run in chronological order throughout the museum. One of its highlights is the “Dendra Panoply”, a 15th century BC suit of bronze armor that was discovered in a Mycenaean chamber tomb. 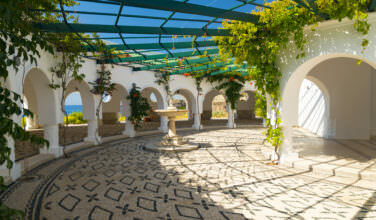 The Peloponnese Folklore Foundation Museum is an award-winning museum dedicated to Peloponnesian culture. The modern exhibit fills two floors with clothing, furniture, and jewelry that trace the cultural history of Nafplio and the surrounding region. The War Museum traces Greece’s military history from the War of Independence onwards through a collection of photographs, paintings, uniforms, and assorted weaponry. The National Gallery – Alexandros Soutzos Museum, housed in a restored neoclassical mansion, features temporary and permanent exhibits. The permanent collection is devoted to Romantic artwork, mostly paintings, stemming from the Greek War of Independence. It includes the works of Greek painters Vryzakis and Tsokos, considered the most important painters of the postwar years. What is a trip to a waterfront town without a trip to the beach? Arvanitia Beach is a small pebble beach just 10 minutes’ walk south of town. Karathona Beach is a bit farther away, a 30 minute walk from Palamidi or a 10 minute drive from the Old Town.